When joined to electronics, the solo acoustic instrument enters into a potentially complex and pointed relationship with itself. The instrument becomes its own double, its voice both converging on and diverging from self-identity as it undergoes modification, metamorphosis, multiplication and whatever other types of manipulation or accompaniment electronics afford. The effects can be modest or dramatic, depending on the degree and kind of interaction in question, but in all cases the translation of the solo acoustic instrument’s voice from its native language into an electronically-enhanced dialect creates a dialogue between self and other in which the self is other, and vice versa. Two new releases, one of solo cello and electronics and one of solo violin and electronics, show the diverse forms this dialogue can take. 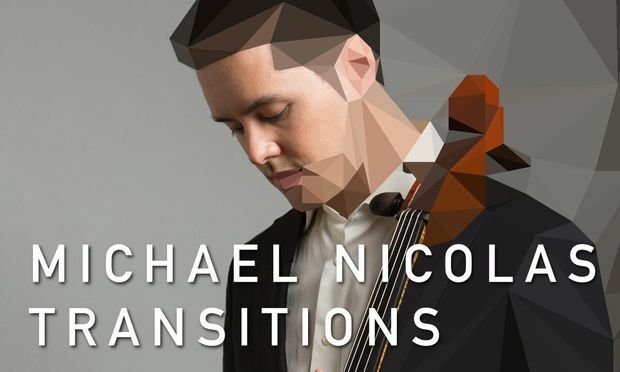 Transitions features cellist Michael Nicolas in a variety of electronic settings that demonstrate the different kinds of partnerships acoustic and electronic elements can form. Mario Davidovsky’s Synchronisms No. 3 for Cello and Electronic Sounds is a duet that draws on an extended modernist vocabulary for cello and matches it to splashes of electronic sound. The acoustic nature of the cello is thrown into high relief as it confronts itself against the artifice of uncompromisingly electronic timbres. In David Fulmer’s Speak of the Spring the electronic component intervenes to modify the sound of the cello, its processing opening up a gap between the cello and itself; from this self-alienation an intriguing soundscape emerges. Anna Thorvaldsdottir’s austere Transitions, written in the contemporary language of fragmentary melody and microtonal harmonies, is the one track that dispenses with electronics. Because of its use of an expansive timbral palette, though, it doesn’t at all feel out of place. In contrast to the works made of discontinuous sound events, Steve Reich’s Cello Counterpoint, which transforms a multitracked Nicolas into a cello section in perpetual motion, and Annie Gosfield’s Four Roses for cello and synthesizer, are constructed around a more conventional rhythmic continuity. The album closes with Jaime E. Oliver La Rosa’s flexura, a tour de force duet for hypermodern cello and MANO. (The latter is a touchpad controller that generates and modifies sounds.) 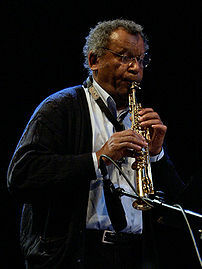 The piece draws on a thick repertoire of extended techniques, including pressure bowing, multiple harmonic effects and sound clusters, all of which weave in and out of the electronic tapestry with ease and a profound sense of belonging. The sonic center for all of the works on violinist Mari Kimura’s Harmonic Constellations is to be found in Kimura’s warm, singing tone, no matter what the larger context. Often, this latter takes the form of a pre-recorded backdrop, as for example in Eric Moe’s Obey Your Thirst. There, Kimura plays a frantic, irregularly accented pulse against simulated metallic and liquid sounds before falling back onto long, slow tones and double stops. Eric Chasalow’s Scuffle and Snap sets out an electronic background of popping, pizzicato-like sounds to complement Kimura’s actual pizzicato playing or to contrast with her smoothly bowed lines. Kimura’s own composition Sarahal, an exciting piece for two violins and live processing, represents the most forceful intervention of electronics into the violin’s natural sound world. An uncanny multiplication of sonic images, the performance consists of Kimura’s virtual duet with herself within an otherworldly thicket of pitch shifting, flanging and delay. 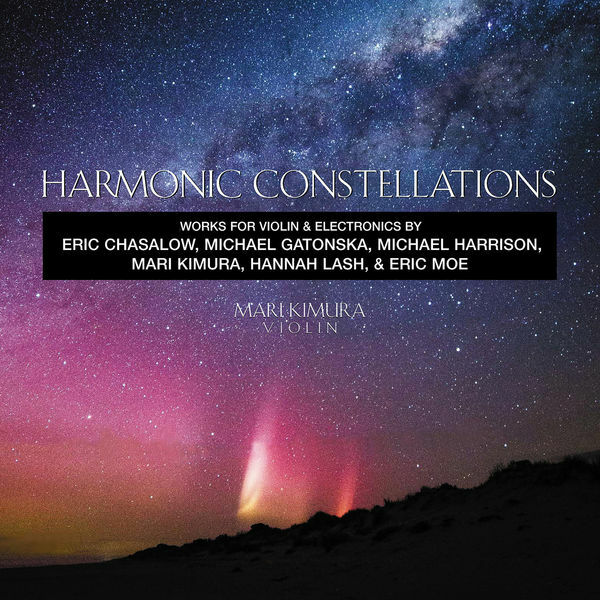 The CD’s center of gravity lies in Michael Harrison’s seven part Harmonic Constellations, a microtonal piece for overdubbed violin and sine tones. As its title suggests, the piece is made up of harmonies arising from knots of coincident tones. A study in undulating, incremental harmonic movement, much of its sound derives from the choric effect of juxtaposed, nearly-identical pitches which beat against each other. The violin is woven directly into the shimmering drone to such an extent that it seems to be just another electronic tone—a submergence of identity that isn’t a loss of identity so much as the inspired creation of a new hybrid. No Exit New Music Ensemble will make its debut with free concerts at 8 p.m. Friday, Nov. 20 at Cleveland State University’s Drinko Recital Hall, 2001 Euclid Ave., Cleveland, and 8 p.m. Saturday, Nov. 21 at the Barking Spider Tavern, 11310 Juniper Rd., Cleveland. Founded by composer Timothy Beyer, the core group comprises pianist Nicholas Underhill, violinist Cara Tweed, violist Tom Bowling and cellist Nick Diodore. Their inaugural program will include Witold Lutoslawski‘s “Sacher Variation” for cello, the Adagio from Zoltan Kodaly’s Duo for Violin and Cello, works by Underhill and Beyer and new pieces by Al Kovach and James Praznik. NYTimes.com discusses a recent interview with Elliott Carter about his new compositions. Now that hardly a month goes by without a new work by Elliott Carter, a listener could easily forget that in former times Mr. Carter spent years writing each piece. 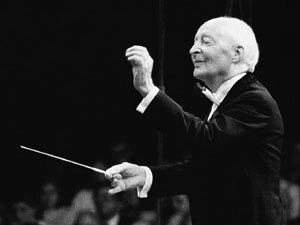 If he had been this prolific four decades ago, when he was 60, his catalog would probably rival that of Liszt or Villa-Lobos. With his 101st birthday approaching in December, Mr. Carter still has projects in mind. In a freewheeling interview with the cellist Fred Sherry during a Works & Process concert at the Guggenheim Museum on Monday evening, he discussed his current one: a woodwind quintet in which all the parts are written with instrumental doublings, so that the five musicians will play 10 instruments. On September 15th, Firehouse 12 Records will release Madeleine Dreams (FH12-04-01-011), the second recording from cornetist/composer Taylor Ho Bynum’s improvising chamber ensemble, SpiderMonkey Strings. The seven year-old group features Kyoko Kitamura (voice), Jason Kao Hwang (violin), Jessica Pavone (viola), Tomas Ulrich (cello), Pete Fitzpatrick (guitar), Joseph Daley (tuba) and Luther Gray (drums). Braxton was a busy man, moving from composing to playing three instruments (alto, soprano and sopranino sax?) as part of the ensemble. At times, Braxton and Thompson were conducting simultaneously, using a combination of their musical systems (Language Music and Soundpainting, respectively) to shape the music and action (there were also a group of actors who moved behind and through the musicians and contributed various vocalizations – spoken, chanted and sung). Instruments included (prepared?) piano, synth, electric guitar, bass, various horns, gong and woodblock percussion, cello and violin.